Kitchen had settings for 4, minimum pots/pans, microwave, electric hot water pot and Nespresso maker, electric oven and dishwasher. Once we mentioned the freezer had to be defrosted (we were there for almost 2 weeks), it was taken care of that day. Housekeeping helped keep kitchen clean. Nespresso pods, Earl Grey tea bags, and jam were provided making a nice touch. While weather outside was cold, the apartments were nice and warm. Great location, charming building, great balconies and kind and accommodating staff. 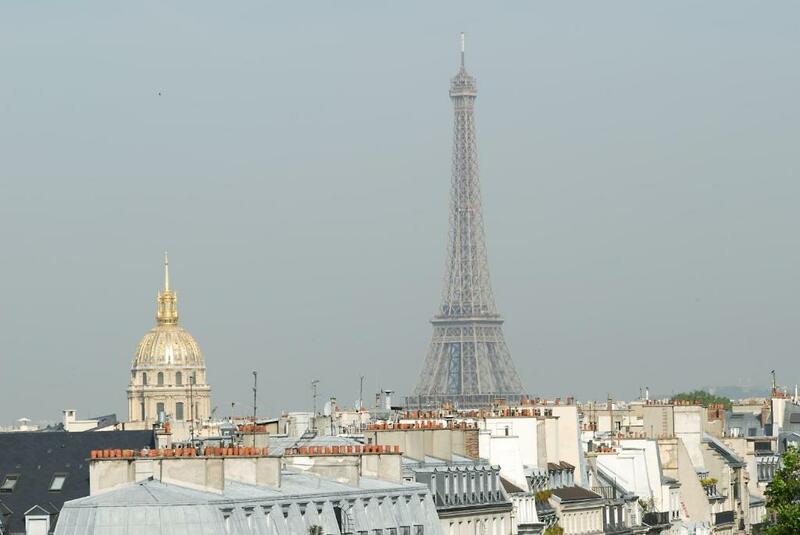 Great location in Paris! Close to cafes and shops. Short walk to Notre Dame and St. Michel fountain. Also, very comfortable for a family of four. I came with my 3 daughters and to see a 22 yr. old grand-daughter who is an au pair until July. Our accommodations were great and the location couldn't have been better! Being so close to shops, restaurants, groceries and outdoor markets was wonderful and so helpful! Getting taxis and Ubers was easy as they were most times waiting for fares right outside our property. We are so glad we were able to stay here!! Staff was very helpful specially Charlotte...fantastic location, comfortable and nice bedroom having separate w c and bath wich was a great convenience as we were family of four there! We loved everything about it, wonderful boutique apartment! 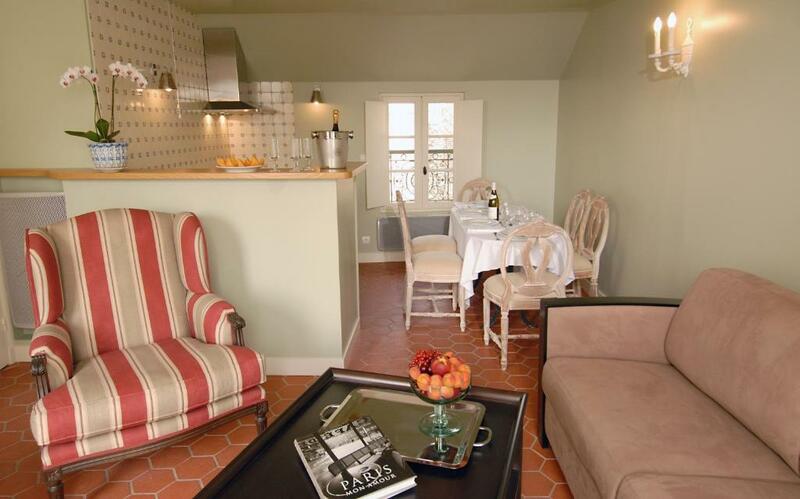 Lock in a great price for La Maison Saint Germain – rated 8.5 by recent guests! 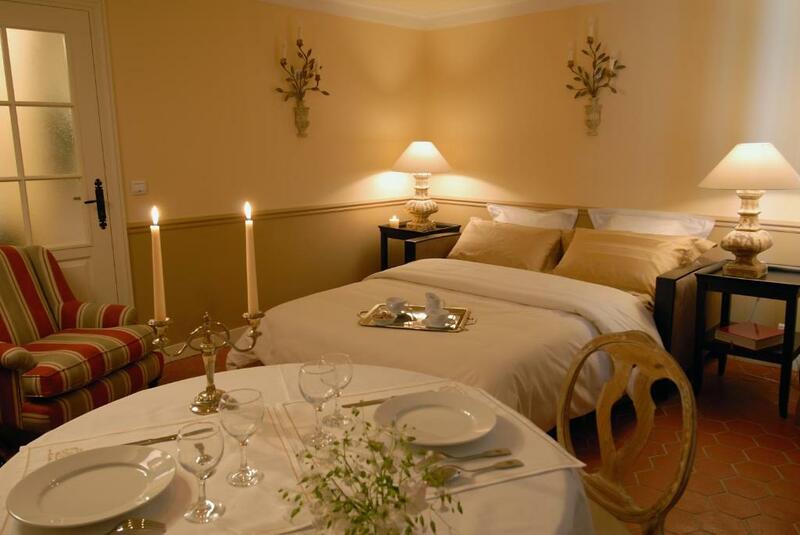 This aparthotel is located in the famous Saint-Germain-des-Prés district in central Paris, 0.7 mi from the Noter-Dame Cathedral. It offers fully equipped apartments. 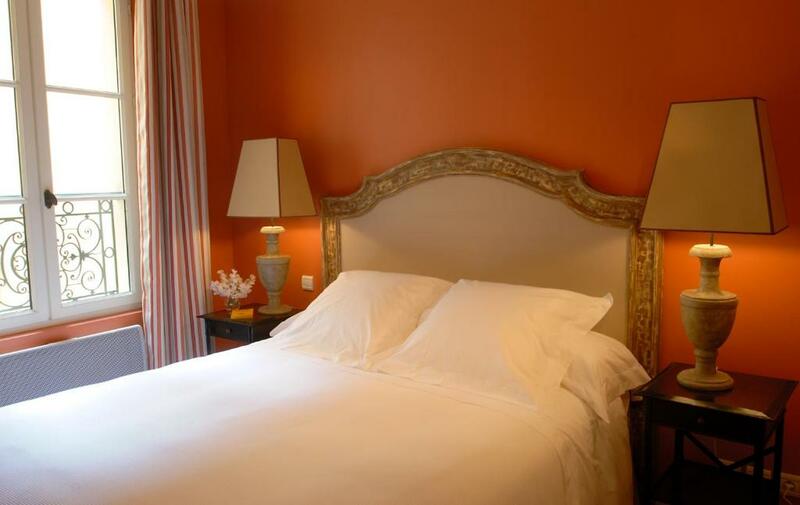 La Maison Saint Germain offers studios and apartments equipped with free Wi-Fi access and flat-screen TVs with cable channels. 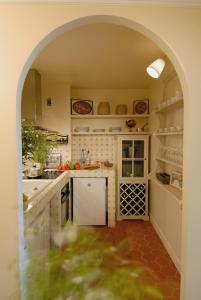 Each has a kitchenette with cooking facilities, fridge, microwave and dishwasher. 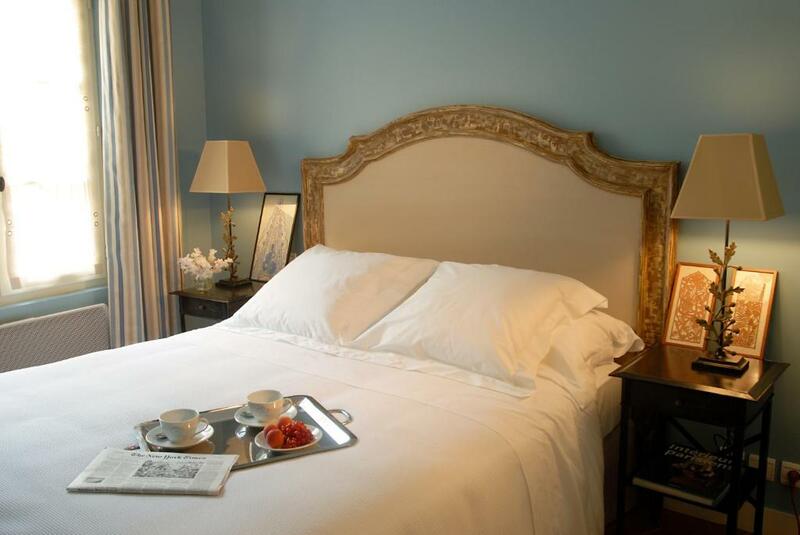 Services at the Maison Saint Germain include daily cleaning and an airport shuttle. 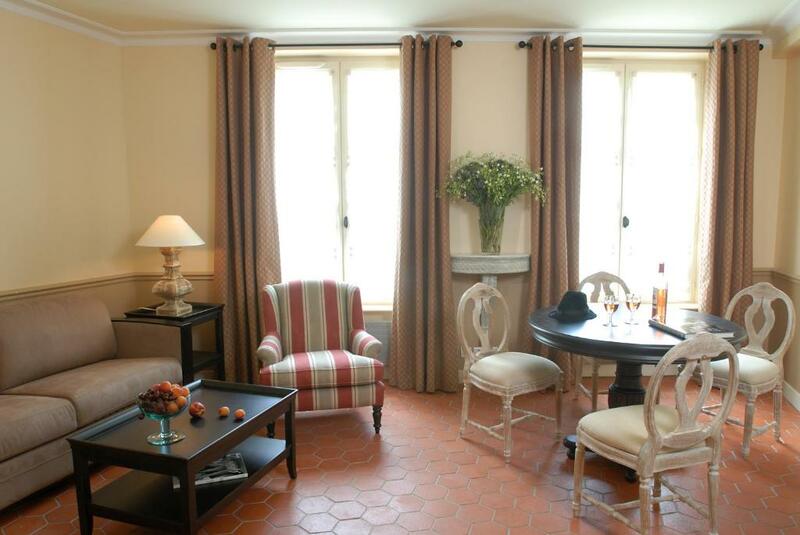 Mabillon Metro Station is on the opposite side of the road from La Maison Saint Germain.The Louver Museum is 0.7 mi from the hotel and the lively Latin Quarter is just 1,950 feet away. 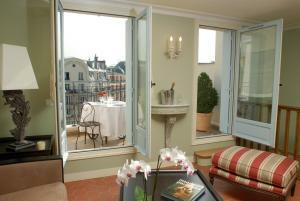 When would you like to stay at La Maison Saint Germain? This studio has a bedroom and a living area with a small kitchen. 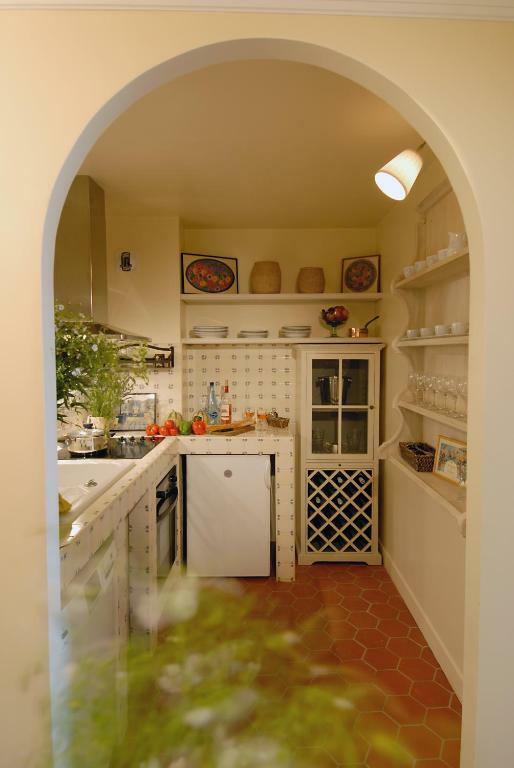 Split between a living room and a bedroom, this apartment has free Wi-Fi access and a kitchen. 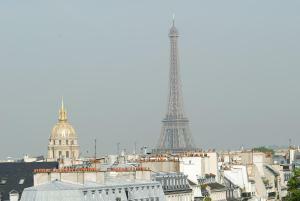 This 2 bedroom apartment has 2 private terraces with a view of the Eiffel Tower. This apartment is on the patio and is set on 3 levels. The kitchen and lounge are on the ground floor, while the toilet and one of the bedrooms are on the first floor. The bathroom and the other bedroom is on the second floor. House Rules La Maison Saint Germain takes special requests – add in the next step! Up to three children under 2 years are charged EUR 10 per night in a crib. 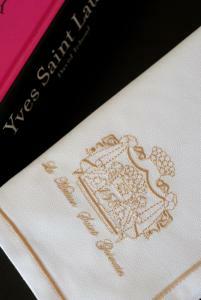 La Maison Saint Germain accepts these cards and reserves the right to temporarily hold an amount prior to arrival. Please inform La Maison Saint Germain of your expected arrival time in advance. You can use the Special Requests box when booking, or contact the property directly using the contact details in your confirmation. Our room located outside the building. We have to go out from fire exit door to the room. The light at front door was not working. I don’t like the narrow stairs in our apartment. It was very difficult to move our luggages up to the room. So we end up leave our luggages in the kitchen. The shower room was very tiny. it is very difficult to clean our body. First night no free water bottles in the room. I suggest you should put a note for other guests. Or you arrange this apartment only for Asia people. Towels were a bit tired. No carpets or rugs made it feel less cosy. Location was excellent. Apartment was spacious. We had 2 apartments, so in the 1st apt., found the Nespresso machine tedious to use. When checking into a 2nd apt. a few days later, discovered dish detergent and salt were provided... would have liked both apts. to have been stocked same. Have to say it's easy to pick up anything you need at nearby grocery stores. The toilet being licated So close to the master bed is a little uncomfortable at times if you prefer a certain level of privacy. The air conditioner didn't work. Couldn't sit on the sofa without all of seating cushions falling off. There was no terrace as depicted in the photos online. The location was perfect. The apartment was roomy and clean. The staff onsite were friendly and helpful. Noisy air extractor. Rather small beds. La petite Maison was quite calm. The web site balcony picture flatters to deceive - our room was on the first floor with chest-high windows. Our view was 300 metres of shops. The fittings were a bit tired and the cooking facilities - a two ring hob and a microwave - were more like my old student flat than "private hotel luxury". And there was nothing luxurious about my husband having to crawl over me to get to the bathroom - because the gap on his side was eight inches between bed and wall. Maybe we just got the "wrong" room out of all the others - but this wasn't reflected in the price.